For months bloggers have been talking about Nokia's touchscreen phone called "the Tube", it was even featured in the Dark Knight but it wasn't until recently that Nokia got official with it and dubbed it as the Nokia 5800 XpressMusic. According to Cellphone Reviews, the Nokia 5800 XpressMusic will get a worldwide release sometime this fourth quarter of 2008 though it would probably be later in the US if you're waiting for an official carrier to subsidize the device. Looks like a pretty cool phone, little bit on the thick side for me. 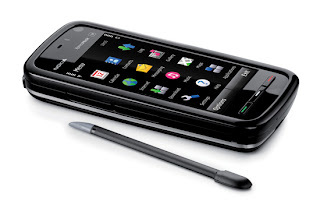 Check out the Nokia 5800 XpressMusic Review.